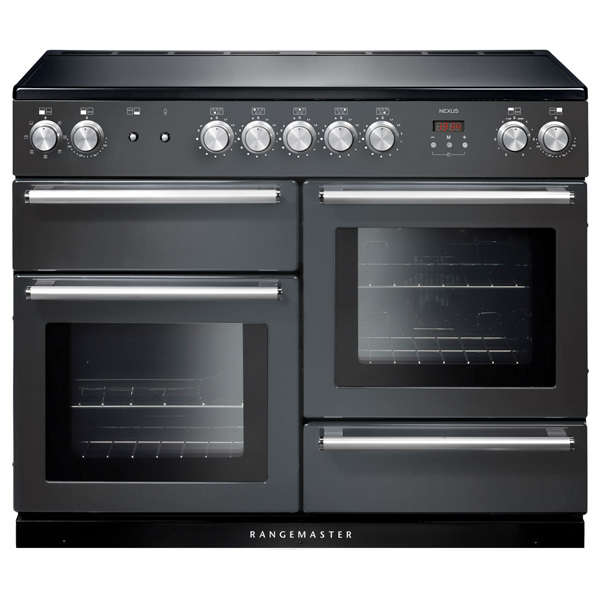 Rangemaster introduces Nexus SE110 Dual Fuel range cooker. Rangemaster introduces the Nexus SE 110 Dual Fuel range cooker. It boasts a deluxe glide-out grill, which provides four grilling depths, three ovens, as well as a deluxe hotplate. Other features include Diamond turned aluminium rotary control, Chrome tubular handles and Large modern windows. Visit the Rangemaster website to see more styles- here.